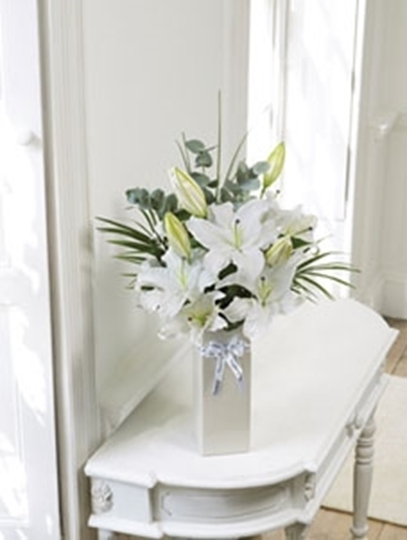 The effortless simplicity of this vase of white lilies makes a beautifully serene display. 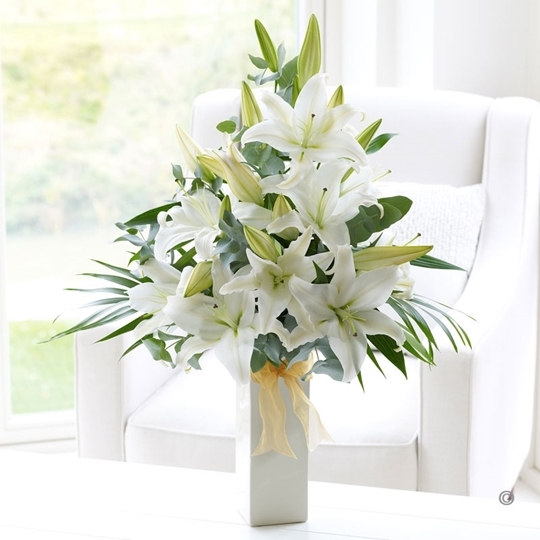 The lily stems are arranged with a selection of foliage, giving the pristine white flowers the ideal backdrop. This is a graceful arrangement that will show someone special that they’re very much in your thoughts. 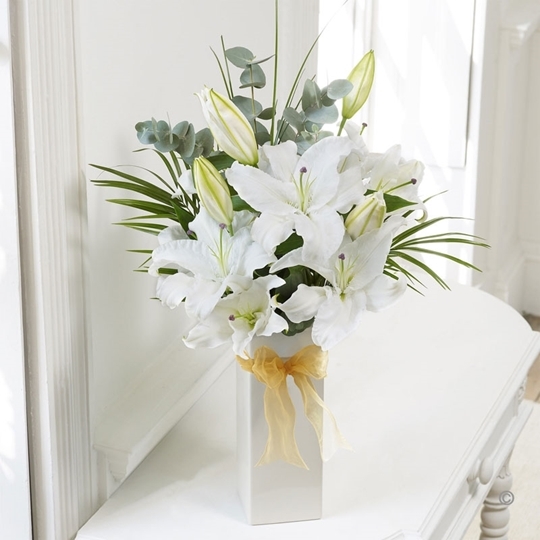 Featuring white Oriental lilies, palm leaves, eucalyptus and salal presented in a ceramic vase and finished with a ‘thinking of you’ ribbon.